The Maple Leafs traded Jonathan Bernier to the Ducks last week. Toronto moving on from Bernier wasn’t a surprise, but the timing and destination was odd, coming just days after the Leafs and Ducks had hooked up on the Frederik Andersen deal. That’s led to speculation that Bernier was part of the original trade all along, but remained on the Leafs roster long enough for MLSE to pay his signing bonus on July 1. If so, that would kind of make Bernier-for-Andersen the latest in a long line of goalie-for-goalie trades, albeit it one with some valuable draft picks heading Anaheim’s way. The NHL has a deep history of this sort of deal, and that makes sense; there are only so many goaltenders out there, so it’s understandable that a team trading one away would want to acquire one in return. And as it turns out, those goalie-for-goalie trades often end up falling into some familiar categories. Today, let’s look back at some of those moves. Note that we’re not looking for trades that simply featured goalies on either side, which will come as a relief to Habs fans dreading another rehashing of the Patrick Roy trade. Instead, we’ll focus on trades in which the goaltenders were either traded for each other straight up, or at least were clearly the primary pieces in the deal. Here are some of history’s best goalie-for-goalie trades, and the categories they fell into. The category: The change-of-scenery trade that comes back to haunt one of the teams. Recent example: Five years ago, the Avalanche and Senators hooked up on a trade that saw Ottawa acquire Craig Anderson in exchange for Brian Elliott. Anderson was just one year removed from a great season, but was struggling badly and seemed headed to unrestricted free agency. So the Avs flipped him for Elliott, who’d yet to impress in limited duty as Ottawa’s starter. The deal worked out wonderfully for the Senators; Anderson regained his form, signed a new contract, and is still the team’s starter to this day. The Avalanche didn’t fare quite as well; Elliott didn’t do much in Colorado, and was allowed to hit free agency that summer. He signed with the Blues, won the Jennings the very next year, and has been one of the league’s most dependable goaltenders ever since. Other examples: Sometimes, a team has no choice but to move on from a goaltender. That was the case in 1988, when Edmonton goalie Andy Moog held out from the team all season. The Oilers finally moved him at the deadline, sending the veteran to Boston for youngster Bill Ranford. 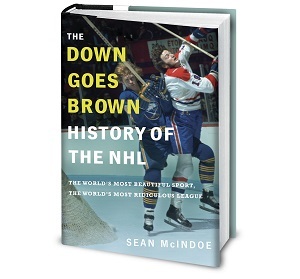 Months later, the two teams faced each other in the Stanley Cup final, with Moog seeing part-time duty while Ranford watched from the bench in an Oilers win. Two years later the teams met again, and this time it was Ranford and Moog going head-to-head. Ranford won the matchup and the Conn Smythe, avenging what he’d seen as poor treatment at the hands of the Bruins. The lesson: If you’re going to make a goalie-for-goalie trade, make sure it’s with a team that isn’t going to show up in the Cup final any time soon. So, good work there, Ducks. Recruiting other opponents goalie is a rampant scenario in different sports league, although the coaches knew better, I think it is still wise that you train your team much more harder in order to achieve your goal, as mentioned in best resume writing services reviews, never underestimate the power of the small ones.